Generation 2 transfer rate of 3.0Gb/s Silicon Image Sil3132 Chipset Supports WIndows 2000, XP MAC OSX & Linux system. RAIDON revealed two types of SATA cards. 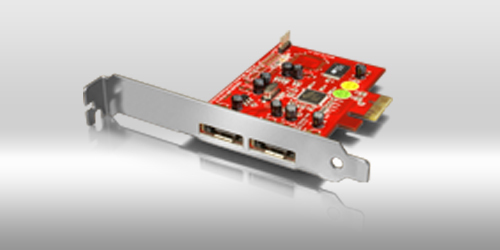 The interface is PCI to SATA which meets the demand for expanding HDD capacity from SATA HDD users.